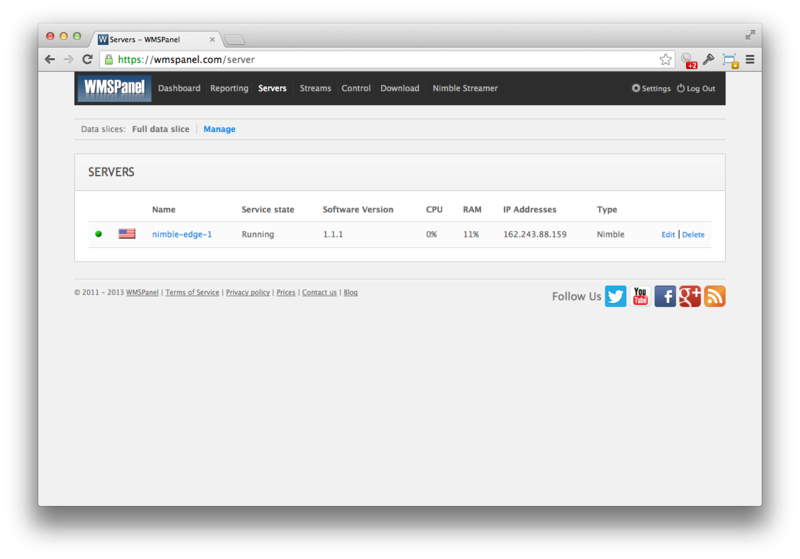 We have an origin server properly set up and running. This might be Wowza Media Server, Microsoft IIS, Nginx or any other. This origin server is available at origin.ultimatemediastreaming.com and it's streaming live video on port 1935 via HLS protocol. We use ultimatemediastreaming.com domain but you will use any other name for your case. We'll use DigitalOcean hosting provider. 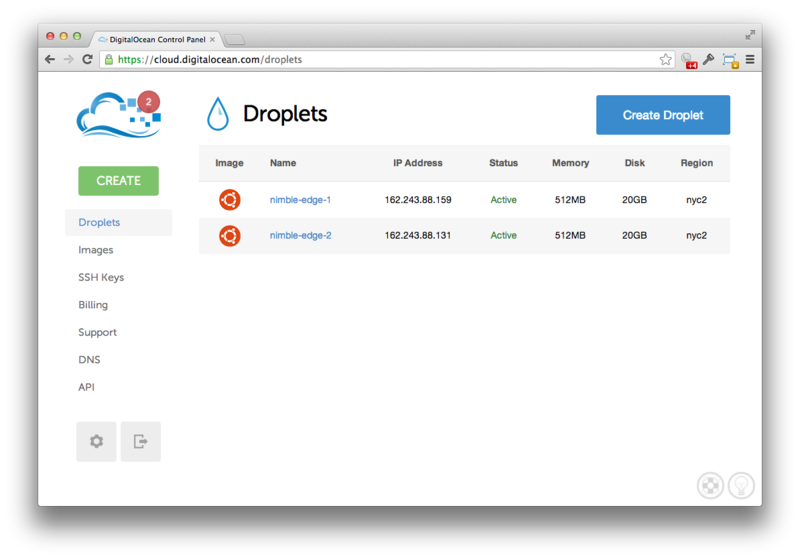 You can use this how-to in order to have step-by-step instruction on creating virtual servers there. So we've got 2 servers as shown below. 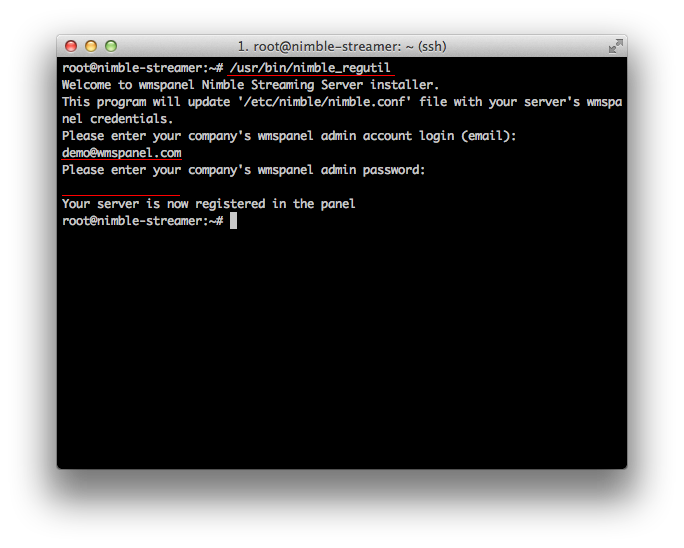 Now we need to set up DNS. 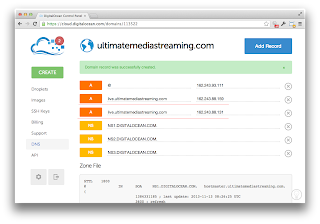 We need to set up "live.ultimatemediastreaming.com" domain to point to both servers. Go to DNS section and click on magnifying glass icon. Now click on Add record select A record type, enter live.ultimatemediastreaming.com and 162.243.88.159 - this is the IP address for nimble-edge-1. Then click Create. Now create the same type of record for 162.243.88.131 - this is the IP for nimble-edge-2. OK, we've got DNS properly set up. 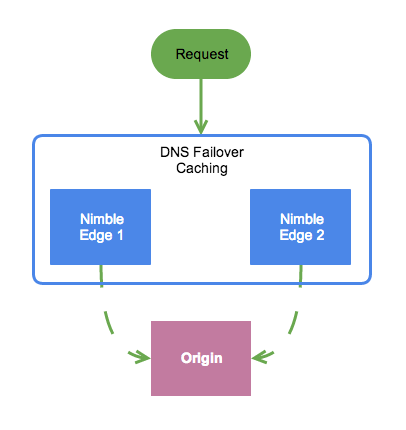 You can refer to this post for details about how DNS failover works. 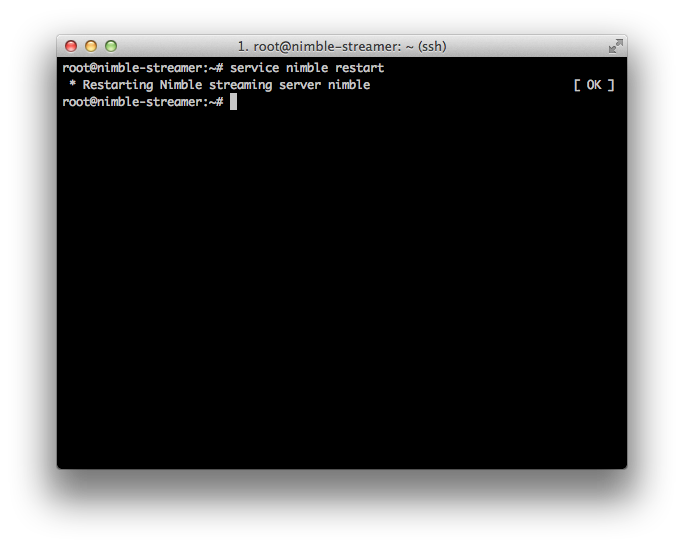 Now it's time to set up Nimble Streamer. You'll then be asked for a password which you will also enter. 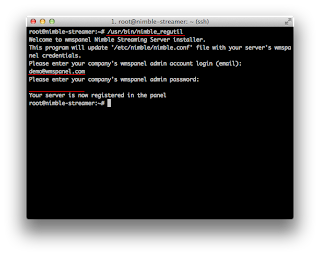 The system will ask for confirmations several times during the installation process. Each time, just press "y" and then "Enter". 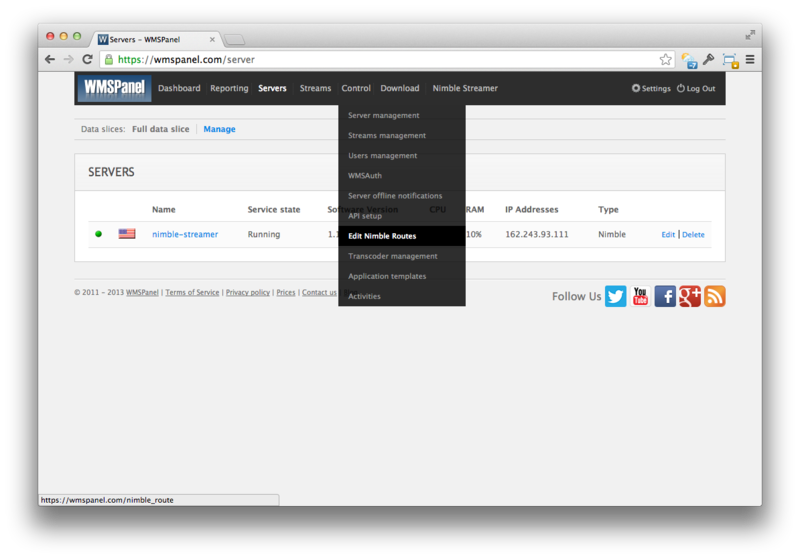 To control Nimble Streamer we'll use WMSPanel cloud control panel. Go to Sign up page and enter your email. Check the email you've used during installation. 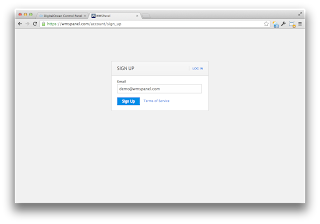 You'll get a login and a password there. Go to Log in page and enter your credentials. 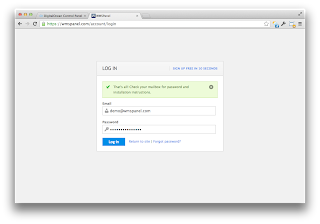 and enter WMSPanel credentials from the email you've used for logging in. Go back to WMSPanel and open Servers page. You will see the server added there. Now set up nimble-edge-2 the same way we've set up nimble-edge-1. Both servers are shown in the panel now. Now we need to set up the routes for taking content from origin via edge to the client. Go to Control / Edit Nimble Routes menu. Click on Add re-streaming route. Let's set up the re-streaming routes to set all edges for listening at http://live.ultimatemediastreaming.com:8081/ address and re-stream the video from origin address http://origin.ultimatemeadiastreaming.com:1935/. 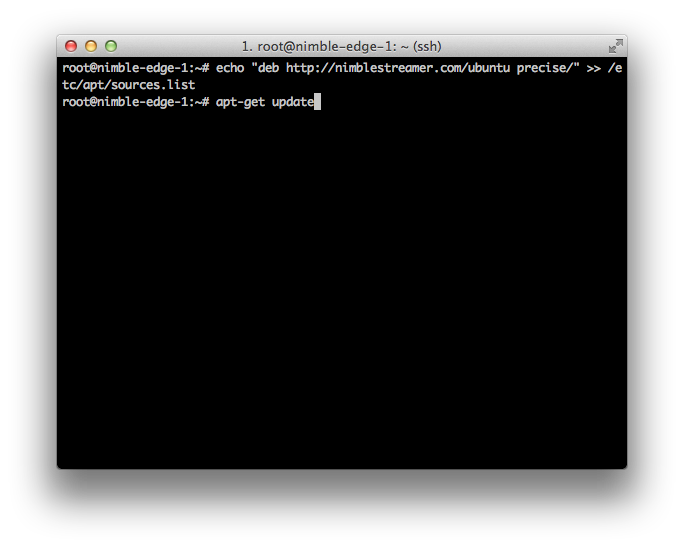 To apply it to both edge servers, check their names in the list and lick OK. 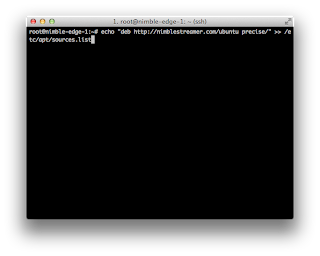 Hint: Nimble Streamer may act as an origin server for both VOD streaming from MP4 and live streaming from RTMP and MPEG-TS. Now you see a new route in the list. All servers assigned to this route will get this route automatically. Well done! 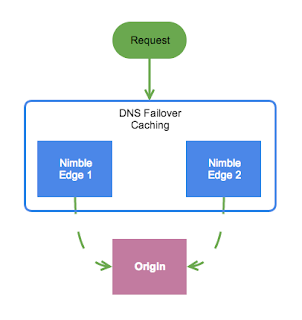 Now you've got 2 caching re-streaming edges balanced via DNS failover. To improve robustness and increase total throughput, you can just add new server using step 1 and add new DNS record using step 2. 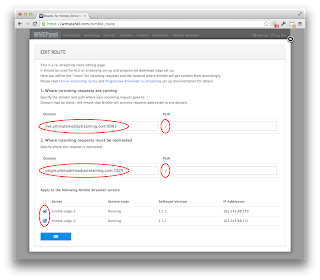 As already mentioned, it can be done with any other hosting provider like Amazon or Rackspace. WMSPanel is not affiliated with neither of the mentioned companies. It will work regardless of the number of edges behind the designated domain name. BTW, this technique is used for our Nimble Streamer demo video page. The video is processed from 3 servers located in 3 different geographical locations. You can learn more about Nimble Streamer features, decide how they can be useful for your business and contact us if you want to make your own streaming infrastructure. But if every request to live. * redirect to origin. * the origin will send a high network traffic to users, right ? No, live. * servers will cache the content, the origin server will put out the content only once per each HLS chunk per edge server.